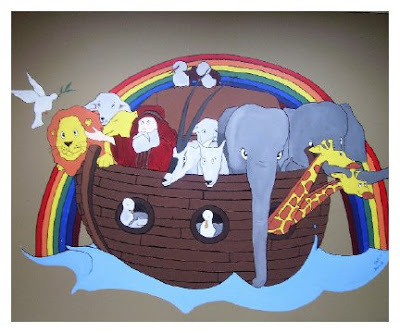 Noah’s Ark is a great nursery theme choice, because it includes every animal and bird that you can think of. My favorite part of the theme, is the rainbow because of the beautiful colors. 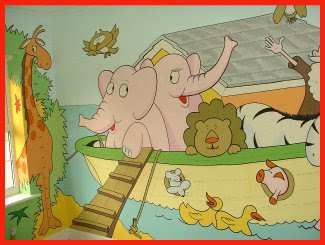 Here are a few murals that I came across in my research. 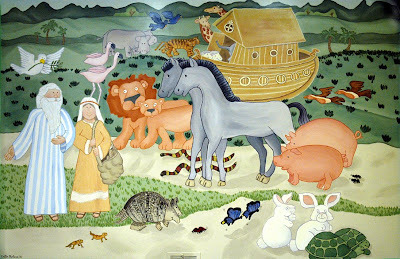 The last one I actually did in my church’s toddler nursery.